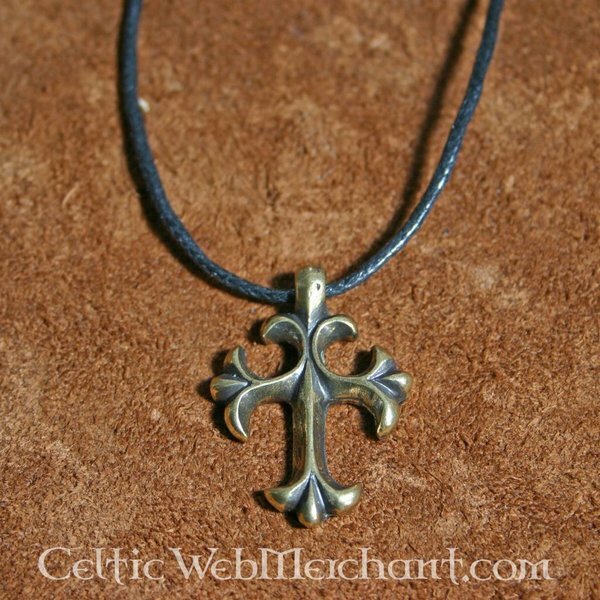 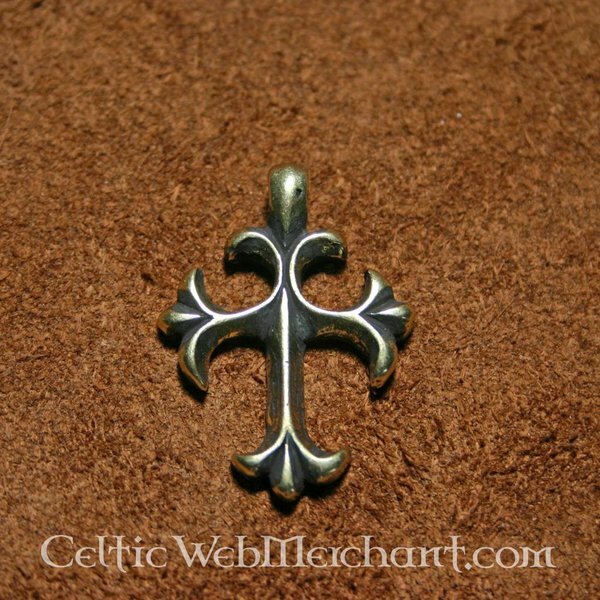 This jewel is a replica of a 15th century cross from the church in Aachen. 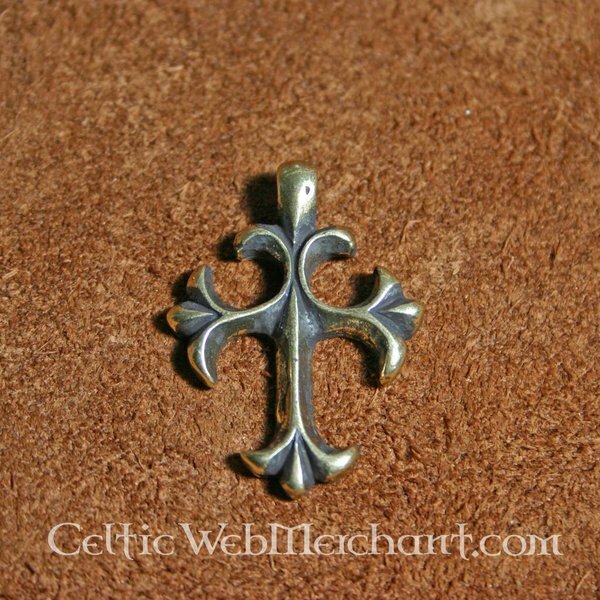 People all over the Catholic world wore crosses like this. 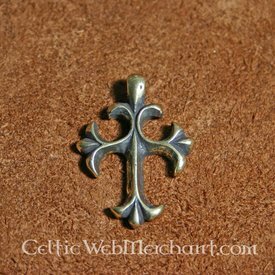 It is made of silvered brass and measures 3,5 x 2,5 cm.